Soldout Trainers have been pioneering the online sales training module for quite a while. The UK based company has been specialising in interactive sales training, management and personal development training through forum theatre and actors’ workshops. This interactive way to study sales is the most sought after by companies and organisations. Join in the bandwagon. Soldout Trainers has a unique approach towards Management training. Their interactive and innovative workshops have earned them acclaimed. Their management training courses have been lauded by many. Its time you try out the nonpareil Management training courses offered by Soldout Trainers. Soft skills training has a new approach. And it is initiated by Soldout Trainers. Their unique training programmes are well-suited for soft skills training. Personal development other than physical and mental development is a must. The team at Soldout Trainers has designed an interactive course specially designed for personal development. Many companies have benefited from these unique courses offered by Soldout Trainers. Its time you take up a personal development course from Soldout Trainers. 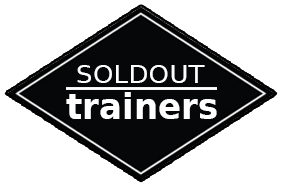 Soldout Trainers have been known nurturing some of the finest Management Training Courses. Their in-depth courses are deigned to help individuals perform better and excel in their individual fields.